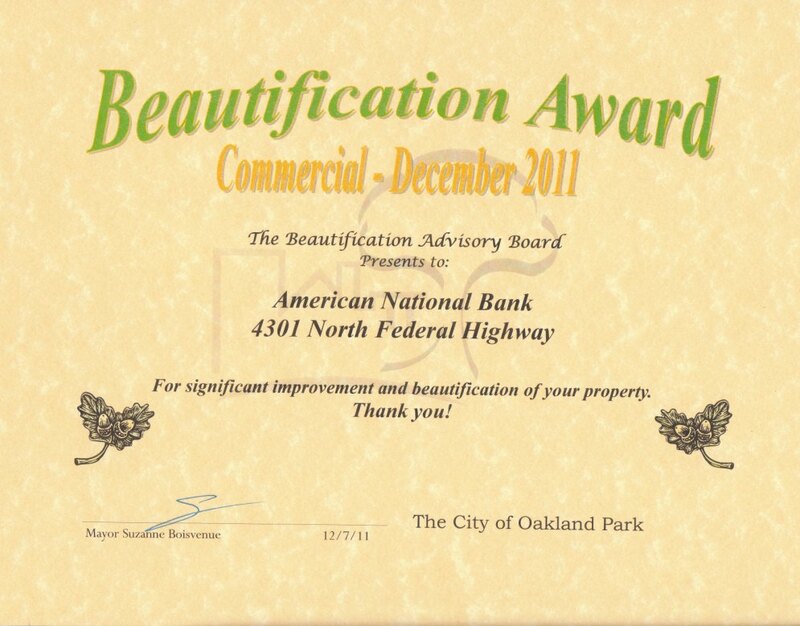 On Wednesday, December 7th, the City of Oakland Park presented the City’s Beautification award to American National Bank. 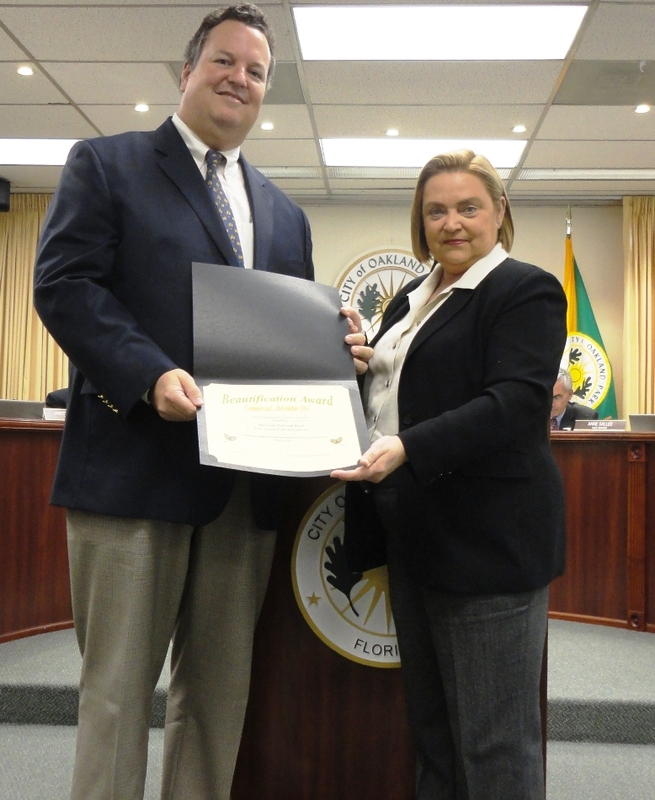 Tim Ingham, ANB Chairman of the Board accepted the award from Mayor Suzanne Boisvenue. This entry was posted on Tuesday, December 20th, 2011 at 10:59 am and is filed under Uncategorized. You can follow any responses to this entry through the RSS 2.0 feed. You can leave a response, or trackback from your own site.